For as long as she can remember, Siobhan has been in and out of her parents’ business, being exposed to accountancy and what’s different about Castletons. Having achieved her degree in International Business, Finance and Economics at the University of Manchester, Siobhan joined the Practice in earnest and is now studying to be a qualified accountant. 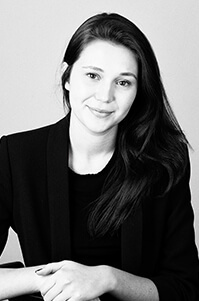 Siobhan leads our expertise in Cloud Accounting; as well as providing Accounts for a number of our clients.